Accident and Sickness Policy – This coverage is for line-of-duty deaths or injuries and line-of-duty related sickness resulting in death or injury. The premium is paid by the NCSFA. To access this form please click here. Accidental Death and Dismemberment – The coverage is 24 hours per day for on-duty and off-duty events. The amount of the policy is $25,000.00 and this premium is also included in the membership dues. 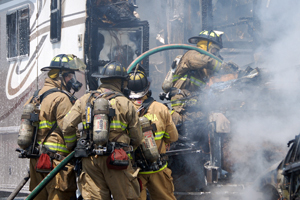 All members including (retirees on a department roster) receive this coverage. To access this form please click here. File a relief fund financial statement online with the NCSFA by October 31st of each year. 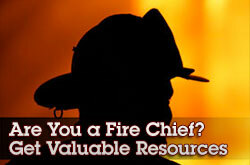 File a Report of Fire Conditions with the DOI by October 31st of each year. The uses are defined by Chapter 58 of the General Statutes. For information on the plan and to receive help signing-up please contact Retirement Plan Solutions, Inc. at 800-388-0441, ext. 125. The staff at RPSI will work with you and answer all your questions. Visit http://rpsi.us.com/ for more information. away: 1-877-491-5089. Click here for more information. 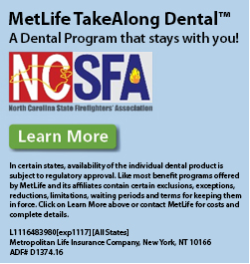 Take advantage of individual dental insurance that stays with you for as long as you want. Get competitive pricing and coverage that can help reduce your out-of-pocket costs for dental services. 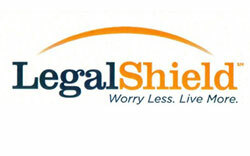 Call ISI (Insurance Specialists, Inc.) : 1-888-474-1959. Click here for more informations. A simplified application process (with just a few questions) for member age 59 and under. Apply for up to $250,000 for those age 39 and under. Apply for up to $150,000 for those age 40 to 49. Apply for up to $100,000 for those age 50 to 59. Call Insurance Specialists, Inc at 1-888-474-1959. The NCSFA provides $240,000.00 per year in scholarships. Applications go online January 1st of each year and are due in the office of the NCSFA by March 15th of each year. 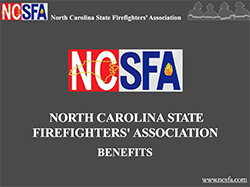 The NCSFA monitors bills and actions of the legislature on behalf of the membership and the fire service of North Carolina. NCSFA members are eligible to receive a debit card with the Local Government Federal Credit Union. 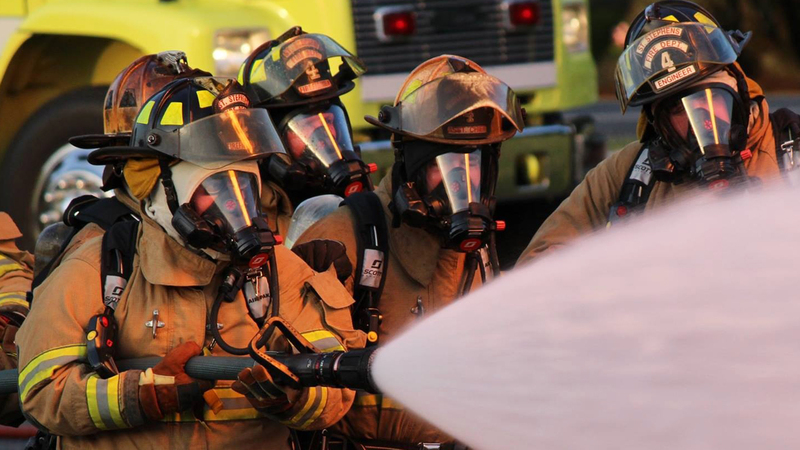 This Visa Debit Card, exclusively for North Carolina firefighters, is LGFCU’s way of helping the North Carolina State Firefighters’ Association (NCSFA) generate funds to help the men and women who serve and improve our communities. Visit LGFCU.org to apply today! Staples provides NCSFA members with maximum savings. Contact your local Staples store for more information. 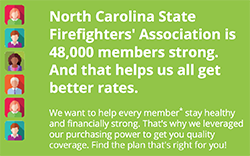 Members of the NCSFA can receive a discount on AT&T services and devices. Visit att.com/wireless/NCSFA or find your local AT&T store to sign up. 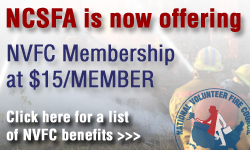 Be sure to mention code 3433704 and have your NCSFA membership card with you to receive the benefit.